Rich vocal harmonies and punchy arrangements of traditional and original songs. Tunes infused with great energy and bounce honed by years dancing together in Morris Offspring. Three fiddles, two voices, one melodeon and a pair of clogs. 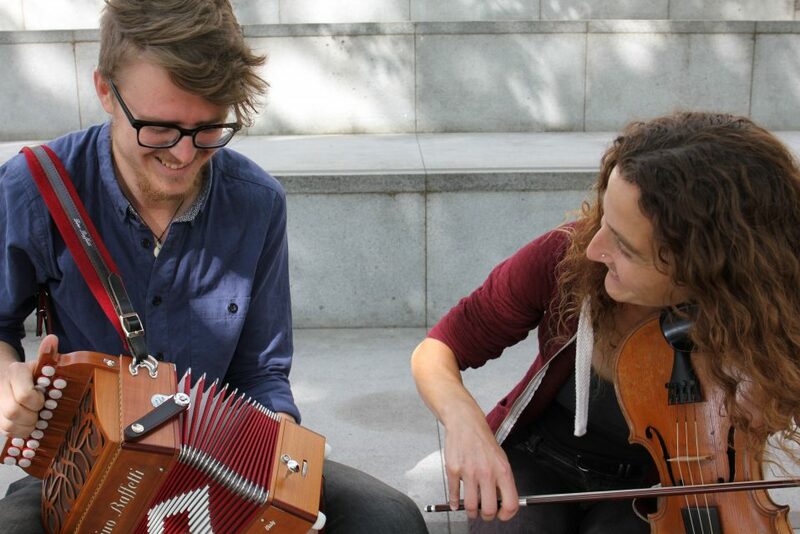 Ben Moss & Laurel Swift, have performed as a duo since 2013. Dancing together in Morris Offspring for many years they have developed a punchy, infectious style of playing that defies anyone not to dance and sing along! 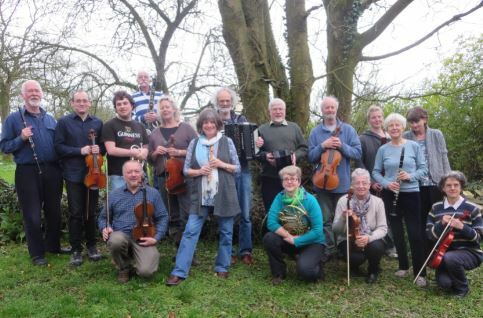 Taking their inspiration from the village bands of the eighteenth and nineteenth centuries, The Somerset Russets combine strings, winds and squeezeboxes to recreate the sound which delighted novelist and poet Thomas Hardy. Firmly rooted in the dance tunes, West Gallery music and marches of those old bands, the Russets also sometimes venture further afield to take in a recently composed tune or maybe something from France, Ireland or Scandinavia. This will be their first official gig in Bristol, and we’re looking forward to welcoming them.